I am stuck. Not from the snow, although I have seen snow. Thick flurries. Slow flurries (thankfully no McFlurries). Flurries swirling in such dizzying fashion that looking out at them through the window I have wondered if I was actually in a snow dome and waiting for a giant hand to shake it some more. I have seen rain, sheets of water bouncing off the path, Scotch mist hanging in the air, swirling with the wind. Mud, floods and ice. Coldness, so penetrating, so bitter I am wrapped in a big jumper over several layers wanting to say something in Danish: Jeg er sulten! Jeg vil lave mad til alle! (Or something like that). Either way, I am stuck, unable to move as I am avoiding spending any money. There is a certain friction between my bank manager and me that if we were connected by crocodile clips I could summon enough energy to get warm. So I am in the kitchen hugging an old gas oven for heat and finding there is nothing to do. Nothing. Grease prints of my nose, lips and finger tips on the window pane are testament to that. The poet Burns brings an upside to all this bleakness. As an ‘Anglo Angus’ (someone who dons a plaid skirt and goes commando once a year) I feel I should do something for Burn’s Night. I have game for a stew in the freezer (I bought it earlier!) but want to do something different to accompany the meat, something traditional but with a slightly Gothick twist that is thrifty and reflects my circumstances. With the cold, warming and filling food, like oats, comes to mind, but a gruel-like ‘mash’ does not sound appealing. And yet... (rubbing chin with fingerless gloves) I have always wanted to see just how far I could go with the savoury side of oats, for example, the classic dish of herring rolled in oats. Nigel Slater in his OFM column http://www.guardian.co.uk/lifeandstyle/2013/jan/20/nigel-slater-oat-recipes shows how diverse they can be, with oat dumplings and venison in port (it must be the North London air that our hands reach out for the same ingredients... I bet his flat is warmer!) My decision made, I will do a variation on a similar theme. A slow cooked meaty venison; iron rich gamey flavours. And to serve with it? A stock based porridge of oats, a little Parmesan cheese, some chilli flakes to give it a thistle like prickle. Put the oven on to 130C, 250F, gas 1. Heat a frying pan, fry the carrots a little first before adding the onion and celery. Place them in the casserole. Next fry the pancetta cubes until the fat is rendered down, remove to the casserole. Now season the venison lightly, sear in the hot frying pan until browned on each side. Keep to small amounts, four to five pieces at a time, to prevent sweating. Deglaze the pan with a splash of the wine, pour into the casserole, add the remaining liquids, the balsamic and stir in the tomato puree. Throw in the berries, the rosemary sprig and the garlic, put the lid on and place in the oven to braise slowly for a couple of hours, or until the meat breaks easily when you test it with a knife. When the meat is cooked, strain the liquid into a pan and return the meat and vegetables to the casserole to keep warm. Turn the heat up and reduce the liquid until the flavour is good and it is a cream like consistency (you may need to slake some corn flour into the sauce if the flavour is ready before the sauce is thickened). When you are happy with the sauce, pour it into the casserole. Meanwhile, melt some butter in a pan and pour in the oats. Once they start to absorb the butter, add the chilli flakes and pour in the stock (this can be done while the sauce of the venison is reducing). Stir constantly, making sure that there is enough liquid. When it is just ready (only a few minutes) throw in the grated Parmesan, enough to give it flavour but not so much that there is no other flavour (a small handful). You could add a tablespoon of double cream at the last minute to enrich this further, making it less ‘Miserables’ and more a marveille. Moistened fibrous meat should break apart with the gentle persuasion of the fork, and it does, just; a saline, marmite-y hit comes from the reduction of the stock based sauce and red wine; in contrast, a hint of sweetness from tomato puree and balsamic vinegar, and, herbs; well, to get a stew that brings back memories of childhood, with joyously heady aromas that hit your nose the moment you walk into the kitchen, the home, you needed to throw in juniper berries and rosemary didn’t you?... oh yes, and then the oats. A mouthful of glutenous, gruely, savoury sensation, a slight prickle from the chilli, and hints of husk that define it as not being a ‘mash’ or puree. It is hearty. Heartier than the braised venison itself in the warming, internally glowing manner (a true “Not-the-nine-o’clock-news-Ready-Brek- Windscale” sense. Does anyone remember that? Me neither!) Rich and stuffing enough to eat by itself, but sadly its visual appeal would make Anne Hathaway balk! (Almost beige wallpaper paste to look at, I will have to work on how it can best be presented). My mouth is filled with a kaleidoscope of flavours and textures, food aimed at seeing off the cold weather with a thermal hot water bottle longevity; a lyrical mix of gastronomic metaphors that potentially do credit to the The Bard race through my mind, as I pace around the flat like a lady in labour, holding my well filled, round and slightly aching stomach (yes, it was filling). The cold snap continues but so warmed up with this ‘thermogruel’ am I, I could book a beach holiday in Solway Firth (not according to my bank manager though). The flavour I am looking for needs to reflect the amber sun, the blend of essences to take me back to that moment again, but at the same time as this is cheesecake the spice needs to come through the cheesy creamy vanilla quite noticeably (topped with that you also have to think about the base, gingery but not overwhelming, as ginger is). Next melt the butter and pour over the crumbs. The aim is to set the base without the ‘free radicals’ (to use a phrase) but to avoid greasiness. Press the crumbs firmly into the base of your tin with the back of a wooden spoon. Put the tin in a preheated oven for 10-15 minutes until cooked (and it starts smelling so good you want to wear it) and solid enough not to move, or fall apart when the cheese is poured on top of it. Meanwhile, with a pestle and mortar, crush the dry spices until powdery enough to pass through a sieve (guests and loved ones will thank you for it if you do!) trying to ensure all the spices are used and that there are no large lumps (hence the sieve). In a separate bowl mix the cheeses, add the pumpkin, the vanilla, the spices and sugar. Taste again, as the pumpkin is light but should have some flavour coming through. Adjust accordingly. Finally, add the egg and extra yolk. Pour the mix onto the cooked biscuit base and return to the oven to cook for a good 30 minutes or until it has the slightest wobble when shaken (this may take a bit longer as pumpkin is quite watery so be patient). Remove the cake from the tin and allow it to cool. Freezer squashed but the idea is there... surely? “Chestnuts roasting on an open fire...” smells of pine and clove and dew, not forgetting apricots, benzene, berries and vanilla... sorry, Christmas was posted to me early this year with a book by international wine writer, Natalie MacLean and I have already got carried away. When I was asked to review this book, it was in the heart of a tornado of chaos that is my life: moving house, Cordon Bleu course, exams, balancing friends with college, oh and being mugged (welcome to London!) This was of course the past three weeks! However, I am so glad it waited. This book is so unputdownable that it is a pity to finish it (I guess I can always read it again or wait for a new instalment). I think Natalie would, justifiably, gouge my eyes out with a rusty old corkscrew and at best, replace them with crown caps like some Tales of the Vault wino snowman (did they do that programme?) if I start a review with the words “education can be fun”. However, the written style is so full of humour that it lends itself to teaching you new, relevant and interesting facts without you realising you are being taught; a style that has you laughing at the quips, smirking at the observations and thinking ‘interesting’ at the same time. Aimed at the best bargains and value for money wines (and written by a self confessed 'cheapskate' - her words) it is divided into days, regions and grapes, as well as having an index at the back that matches food with the discussed wines (an asterisk for the best wine/food match to the chapter’s grape), and links to the recipes. It also quirkily has additional reading (Jaws by Peter Benchley brought a shark like cheesy grin to my face). This is brilliantly thought out. 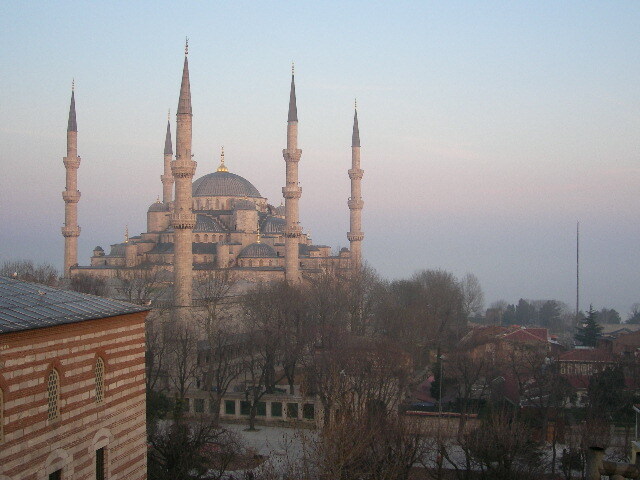 And just before you can draw breath a new day and adventure take you to further into this book. We start off in Australia, learning what kick started the industry there. Wry comments such as describing Syrah as a “new sensation” bring a chuckle (as a grape it was first cultivated in Roman times even though it was introduced to Australia much later on). Insightful observations show her interest in the makers as well as the subject. This she does with tongue-in-cheek humour, the bubbling energy of Wolf Blass (so non-PC you can sense his PR spokeswoman cringing and Natalie’s eyebrows going stellar), and with genuine fondness, meeting the Penfolds and the Henksches make for a melodically whimsical ending in the starlit Southern Hemisphere over a supper that, frankly, you wish you were eating with them. A completely different environment but similar characters and observations take you to the Mosel the next ‘day’. Here we start in a serene manner, the descriptions as undulating as the river itself, the eccentric and high octane characters, however, bring a vitality to this section; Again, it is the descriptive narrative that takes you to the moment that she tastes the wine, palpable or at least truly imaginable without doing a ‘me’ and throwing the full dictionary of similes and metaphors at the description; like the tasting, just enough. And again, we have the personal observations which bring the people to life as much as the wines: the elusive Prüm owner, blind tasting with his glamorous daughter; the wildly enthusiastic Löosen’s discourse at full throttle, all bring us the delights of Riesling. The whirlwind tour continues in a ‘whirlybird’ over Niagara and is a revelation for me having only ever drunk Canadian wine from Okanagan. Niagara on the Lake, just minutes from the top tourist spot, the precarious nature of the landscape, from blights of starlings (do they come in ‘blights’?) to the climate, to natural methods for cultivating the land and organics (enlightening). Words and observations flow like the falls themselves and like the Pinot Noir of the chapter this is bursting with facts and observations that leave you wanting to rush headlong into the next one. Mack the Knife starts humming in my mind with the opening paragraphs of the next chapter, for obvious reasons. Natalie takes a slightly different focus in South Africa, it is a more intense chapter as it covers the full spectrum of wine, politics (apolitically), people and history in steady gulps; Syrah, Pinotage, Mourvedre , Grenache, Chenin, and Sauvignon Blanc in glassfuls; a rainbow of subjects and characters from the Rainbow Nation. 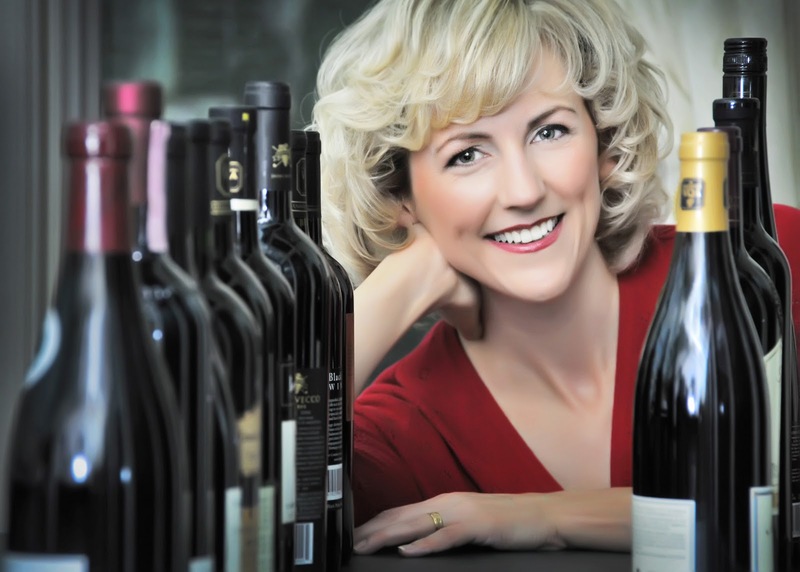 One lady stands out amongst the others as a truly inspirational wine ‘activist’: Carmen Stevens, a wonderful story of hard graft being rewarded with success. Again, the chapter ends in similar mood to its beginning, landscape, beauty, peace and gloriously described flavours to match the environment. The smouldering slopes of Etna provide a look at a lesser known wine growing area of Italy and perversely one of the oldest ones. Precarious heights match greater depth of flavours as she describes the local grape varieties, although the concentration is on (an old favourite and much maligned grape) Nero d’Avola. Laugh out loud moments come when she is seemingly leered at by an overtly familiar wine maker and then shown the level of intensity by another producer (“You should never talk to me during harvest”, to quote!) If the Sicilian’s philosophy of acceptance to change and events, coming from the island’s history of invasion from the Phoenicians to the Normans, highlighted by references to The Leopard (one of my favourite books), then passion is the overriding sentiment of the growers in one of the most precarious wine growing regions in the world. The final chapter takes us to the glamorous and overly chic Provence, tempered by colour not grape: rosé is another misunderstood wine that needs to be shouted about, its pastel colours not one for discerning palates (I love it, but then again...) as highlighted in comments about teasingly labelled rosés from the Languedoc or New Zealand, though the mention of manly, Hemmingway and pink wine in one paragraph did raise my eyebrows (see Truman Capote’s views on the great man). The view is that rosé inspires a degree of irreverence in growers that other wines wouldn’t. The meal with Nathalie Vautrin-Vacoillie of Domaine du Clos d’Alari based on Provençale ingredients has me salivating, and there is final visit to an ex-Pat Brit of well known best sellers. The appeal of the south of France and their Provençale rosés sadly brings the book more or less (Algonquin aside) to an end. Thankfully, I have a warm and comforting Barbera in my hand to get over it. The book gives glass sized gulps of information that can be put down and picked up. I challenge anyone to do that though, I raced through it. I have had such fun reading this book that I am loathe to say goodbye to the author. As the front cover quote states “Natalie MacLean is a new force in wine writing”, I have to agree. It is, in short, brilliant. 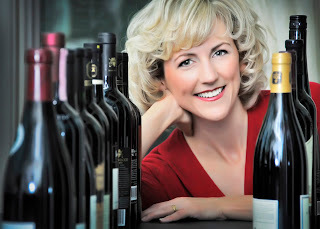 See also: www.nataliemaclean.com for wine updates and further information on parings and recipes and to download her app. Shelves darkened by lines of books, heaped to block out much of what little light comes in through the window, piled to turn the path no more than a foots length and make you walk heel-to-toe, all of them waiting for some dust to be blown off if not deliberately then by a sneeze (asthmatics like me should beware! ); the musty smell of the cotton and card or embossed waxy covers, the graininess of the creamy pages, made dark and brittle in parts by sunlight; the tactile pleasure, the joy of holding something by Elizabeth David or Jane Grigson, or others, that is fifty years old or more is one the internet can never provide. I love hunting down older, original (sometimes first edition) cook books. It is an occasional treat for me, the chaotic drive, then a leisurely pub lunch followed by the slow perusal of the second hand bookshops to find something new, well new to the collection. 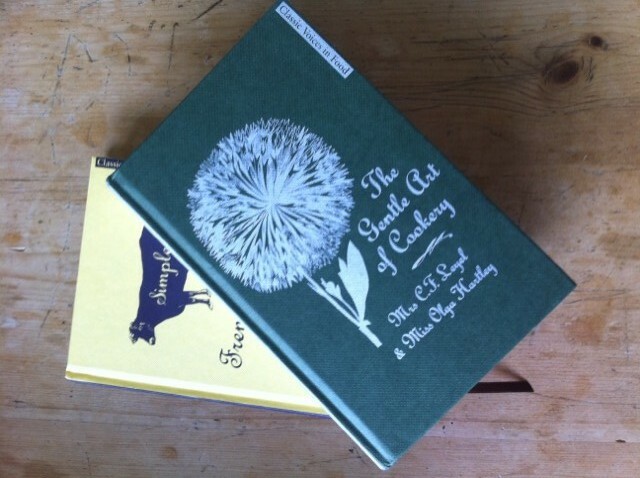 So there was a frisson of excitement when I received two books from the Classic Voices range by Quadrille Publishing to review: “The Gentle Art of Cookery” and “Simple French Cooking for English Homes”. Both beautifully bound in the old style card and weave as if the post had been delayed for the decades or so since its first publication. The feel of the covers reminiscent of the old style books that represent a quality made to last. These are enjoyably tactile and the vibrant colour pleasing to the eyes, and smell as fresh as the dandelion on one of the covers. As Skye Gyngell is quoted as saying, they are indeed wonderful bedside readers to dip into and put down at leisure. These are collectibles, but there is the rub. I WANT to use them, I want to be able to give the recipes a try, use their historical knowledge and encyclopaedic wisdom to help a food craving or an idea take shape, and that is my only disappointment (and I say ONLY). As beautiful as these are and collectible as they may become, the gilt edge of the Boulestin (and my own copy of Mme Prunier’s silvered pages) are not practical to use with greasy or flour covered hands. Rather like “Venezia” by Tessa Kiros (a beautiful if impractical book), I could be put off buying them if I didn’t feel I could actually use them in a practical sense without leaving sparkling traces in my pastry, for example, (though it may actually improve my offerings) but they are so well presented retro collectibles that I want to buy them. A shame but that is my only real dilemma, my only complaint; and that is, truthfully, it. But to start, in chronological order, “Simple French Cookery for English Homes” (originally published in 1923) comes in a custard yellow cover printed with a pair of brown heifers on the front, gilt edged (see earlier comment) it is half the size of the other book I receive but just as practical and in some senses the more enjoyable to read. X (Xavier) Marcel Boulestin was the original bon viveur having been a journalist and a translator, before doing the occasional stint as a private chef and wine advisor to the wealthy (which led him to get the commission for this, his first book) and finally, and more importantly, the original television chef in 1937. Matthew Fort is quoted as saying the original modern cook book was due to Boulestin and it is clear why; here and there you can almost see his Gallic flare of the nostrils or a David Suchetian wag of the Poirot finger to warn us not to err down a certain culinary path, notably in his ‘Remarks’ section. His raconteur character comes through in the almost romantic paragraph introducing soup, where the opening picture whisks the reader off to the rolling hills of the Auvergne or further south. Here he explains the North South divide (I guess they invented that one too!) telling us that soup and wine is the traditional peasant fare from the centre and south of France rather than poor coffee and bread in the north. Again, there is the tale master spinning his yarn to warm us to the traditional idea of French food. First comes the chapter on Sauces with the caveat that all sauces are part of the dish mentioned in the subsequent meat or fish section. It is a really useful and easily readable chapter from the Courte Bouillon to the Hollandaise. Whilst he cautions us (finger wagging) on the need to keep Egg recipes simple, and has no comment on the various fish dishes, the section on Meat opens with a small dig at the ‘perfidious’ Swiss getting in the way of our understanding of French Cuisine. (We should be at one, cooking from the same page but they got in the way; why did they do that to us? Why?) The least we can do therefore is to disguise their influence with a head of garlic in a leg of mutton. On salads, the finger wagging goes ‘metronomical’ (tick, tick, tick), the iron fist in velvet glove comment “I cannot help wondering if an English salad is the result of ignorance or the aim of a curiously perverted taste” is a prime example. Ouch! And yet, you have to laugh. But the reader’s attention is grabbed and he goes on to explain why. In other chapters there is not so much commentary or introduction having already discussed most of his thoughts in his Remarks both General and Special, though there are quotes from Brillat Saverin, Meredith, Galsworthy and even Darwin add to the flavour. 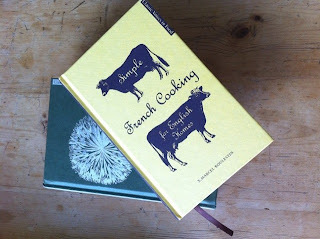 “Simple French Cooking for English Homes” made me smile, laugh and fascinated me all at once; a rare gem. “The Gentle Art of Cookery” on the other hand, is a collaboration of two ladies who sound like a pair of ex-debutantes or nannies than writers; Mrs C F (Hilda) Leyel, the wife of an theatrical impresario who used her dining menus as a basis for writing this book before going on to write others, and her assistant, Miss Olga Hartley who was a suffragette, journalist and noted author. The rich herb green cover, silver spine and large dandelion pattern have a visually comforting appeal. Inside recipes are described in a matter of fact, no nonsense way. The writing has no fuss or frills, no nonsense, no delicious metaphors or gastro-prose verbage like, oh, my blog for example, just straight talking; an approach reminiscent of Fanny Craddock but without the harpyish, hand slapping bossiness. Most of the chapters have quotations and an introduction on the importance of the key ingredients such as eggs, mushrooms, and so forth. Many things stand out in this book however, the flower chapter, to which the front cover alludes, starts with an introduction on the history of flower usage from ancient Sparta to medieval times and to the Far East with Orange Pekoe and Jasmine. Hilda Leyel’s knowledge as an herbalist really comes to the fore with examples of Dandelion Puree and Eggs with Marigold. The chapter for Children’s recipes is as amusing as it is a revelation, listing some amazing things that the reader can do for children, ‘To Make an Ostrich Egg’ (using pig’s bladder and several ordinary eggs), or that children can do for themselves, ‘Omelettes in Saucers’ (although Boulestin in his Egg chapter says that an omelette is not the easiest thing to get right), Meringues and a Gingerbread House, for example. All done in a simple no nonsense way, but something that gets children excited about cooking (that can’t be bad). For a themed party there is a chapter called Arabian Nights. Although the recipes are based on those in Burton’s book of ‘The Thousand Nights and a Night’ (also known as Arabian Nights) the release of the film ‘The Thief of Baghdad’ with Douglas Fairbanks (1924, when the book was probably being assembled) must surely have had a massive influence. In fact, at the time of writing the book (published in 1925) the Empire Exhibition had opened, Art Deco was arriving from Paris, Tutankhamen’s artefacts had done a whistle stop visit to Wembley, Kingdoms were emerging in the Middle East, and all things exotic were being produced. Having said all that, given her classic comments on ancient mythology and food history, Mrs Leyel perhaps failed to digest Leviticus in this particular chapter. LARD? BACON?! Or am I being too particular (though I am very much tempted to give Oeufs a la Constantinopolitaine a go)? Despite a feeling of slight nanny knows best commentary and my occasional criticism I loved this book, it is a treasure trove of information, very much worth the cost to sit proudly anywhere, be it by the bed, on the coffee table, or, like mine, in the kitchen where it will be well thumbed and highly valued. The Classic Voices series is an excellent collection brought together by Jill Norman, the series editor, who also writes a great introduction to each book. They bring an almost other worldliness to the present with mentions of taking food up to the nursery in the vegetable section of Leyel’s book and cellaring wines in Boulestin’s, phrases that have no place in the modern and instant world that we live in and yet although dated are not something that distract from the recipes and ideas themselves, in fact, are a pleasure to read: different worlds, different lives. Jill Norman has created a real joy and collectible pleasure for the buyer and whilst there are only a few books in the range (so far? )I cannot wait to get my hands on more editions. Blinding sunlight like the flash of a camera’s bulb rushes through my mind. Blinding sunlight, searing heat and buildings of honey hued limestone, dusty and dry. A hot cityscape revealing itself, contrasting with the cool marble shaded concourse of Bordeaux station in the late 1980’s. Backpacking with two friends (I wonder what happened to them?) we arrived from an overnight trip hungry and unwashed. In front of us a fast food joint serving burgers; burgers, breakfast, station parade? I guess I was asking for it, but I was a gangly, skinny, spotty teenager who was starving and could have eaten a horse; and in part that is what I did, literally! But this is July 2011 and I am sitting at a table in the Marais. I am older and wiser (no, really), and certainly not skinny having been on a gastro-ride through 60 years of Bollinger and several courses of delights from Alain Ducasse at the Jules Verne earlier in the day. It is late, and although it is dark, the heat resonating from the limestone landscape, buildings similar to Bordeaux, brings back the memories of my teens as well as the speciality of the chef I am reading on the menu. I need to spread out and relax. The table is in Le Taxi Jaune, owned by Chef Otis Lebert, whose biography includes Tante Claire and l’Ortolan in Britain. This is to outward appearances, a traditional bistro, where the French cuisine is innovative; brought up to date. A menu that gives the impression of someone who enjoys the true elements of French cooking but with hints at the slightly alternative, the quirky sense of humour is demonstrated by the neon lights above the bar. So when he recommends his speciality, steak, then smiles and clarifies, horse steak, I gulp, swig down my aperitif and say yes (well it is his speciality). I started light (it was the heat): Salade des haricots et girolles. The plate was an elegant and simple salad; a delicious balance of fresh green and truffley mushrooms, small and tobacco tan in colour. Simple? I think that would be understating what lies beneath. While the haricots were perfectly non-squeaky cooked, the mushrooms provided a wonderful soft contrast in texture, then the subtle slightly crunchy rosy pink spots of finely chopped shallot. There was a prickle, something teasing the lips and tongue, coming from the merest hint of cayenne pepper (though with the humidity and wine tastings, I had, to paraphrase Mike Leigh’s Abigail, sensitive lips) but I saw the specks, the tiny red dots, they were definitely there; tarragon and parsley, topped by the shallot, bring out the dressing, adding light liquorice and pepper notes; layers of complexity thanks to the subtle added flavours and spices. So, ‘simple’? No, delicious. The main course arrived: Merlan de Cheval. On the plate a medley of food, colourful and rich in perfume; round slices of meat with a dark, chocolate brown, tangy and prickly peppered crust, hints of spiciness on the nose and tongue, then a beautifully fruity red bloody centre. The red onion butter, turned pink from the slow cooked slices, adds sweetness to the strong slightly bitter flavour of the meat. Surprisingly, it doesn’t have the grassiness or bloody iron ‘whack’ that beef gives, though it is similar in richness and does have a powerful flavour; sweetness and earth are perfectly combined. Farcis of courgette and tomato accompany the dish. The courgette is a vibrant green stuffed with a lightly curried aubergine, raisin and tomato ‘ratatouille’, gentle in flavour and very more-ish. The tomato was stuffed with the more traditional style of ratatouille, pepper, courgette and onion, again subtle and tasty. Finally, herbed mash gave balance, green flecks playfully opposing the rosy butter. Otis Lebert recommended the Pichon Paillé 2009 Graviers Bourgheuil to go with the main course, a leathery and vegetal cabernet franc, slightly meaty, and a perfect complement to the main. I said my thanks and we shook hands (I actually wanted to bear hug him it was so good) and stepped into the sticky night air, swaying pendulously from the food and the wine. For some Joe le Taxi started running through my head, maybe it was an infantile obsession with Vanessa Paradis, whose song was around when I was travelling all those years back, more obviously the name of the restaurant stuck in my mind. Whatever the reason I zigzagged my way through the streets without the need to look back, on a large bed in a cool room with a contented grin on my face, I knew I would be back some time soon.